My (teenage) granddaughter is into skulls at the moment and so I want to make her a skull afghan for her birthday. 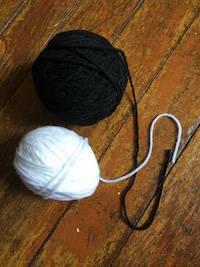 I tried one pattern but it wasn’t working for me so I turned to my “old faithful” – Tunisian crochet. I found a graph pattern that I liked (The Deathflake by Art Fiend) and now I am starting the afghan, creating my pattern as I go. 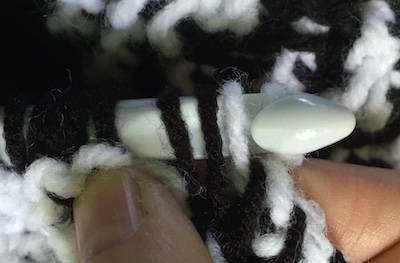 NOTE: I am a leftie, so my apologies for any confuser for right-hand crocheters! I start with single crochets as this is easier for me. Now we start the Tunisian and I am using the Tunisian Knit Stitch, which is working through the middle of each loop. Row 3: Now we are increasing in the corners. For each corner, you pull up a loop in the space before the corner loop, through the loop and then into the space following the loop. 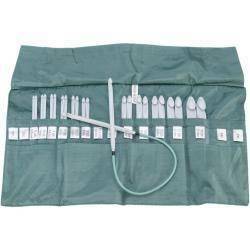 This gives you two additional stitches, one added to previous side and one added to the next side. Note: I like to work forward/return pass for one side at a time and always ended with doing the increased corner. “Habits” make is easier to keep track of where you are in the process. Row 11: Increase in corners, 18 TK along sides (and ending with that last increased corner). 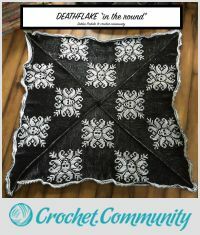 By now you should be able to see the corner pattern and recognize the centre corner stitch. 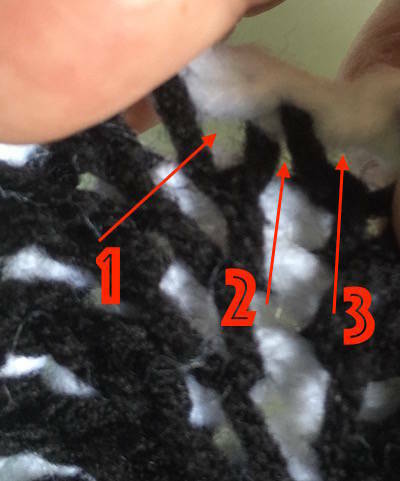 Recognizing this corner stitch is very helpful, to keep sides straight. Continue ’til you are working 36 stitches along the sides. Corner (working into space before the centre loop, through the loop, and then the space after the loop). 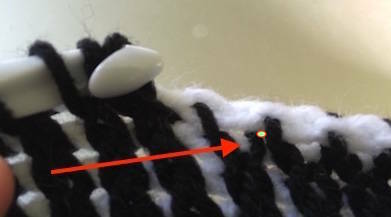 Notice the line of white down the centre seam of the corner. been thinking about the deathflake pattern — I hope it looks good with a 9MM hook! Next do two Knit stitches for your first side, then an increase for the next corner and so on. you work forward with the one colour, and then you follow that with the second colour, as the return pass… you just aren’t flipping your work … it is all in the same direction.